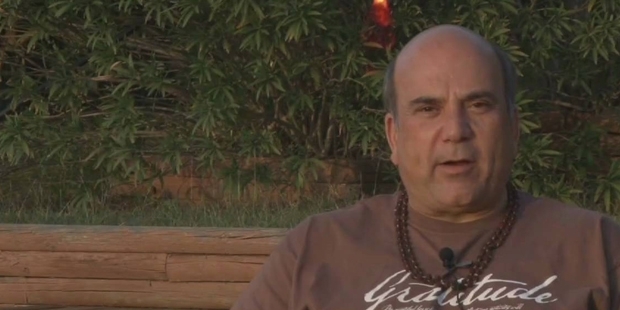 Dr Joe Vitale is an American author and one of the best-selling authors in this world. He is also known as a self-help author. The most popular books of this writer are There’s a Customer Born Every Minute and Buying Trances: A New Psychology of Sales and Marketing! The most popular writing of this writer has been in marketing, communication and advertising. Dr. Joe, born on December 29th, 1953, is a well-known writer and has appeared in many films as well. He has been a popular star in the movie, The Secret. 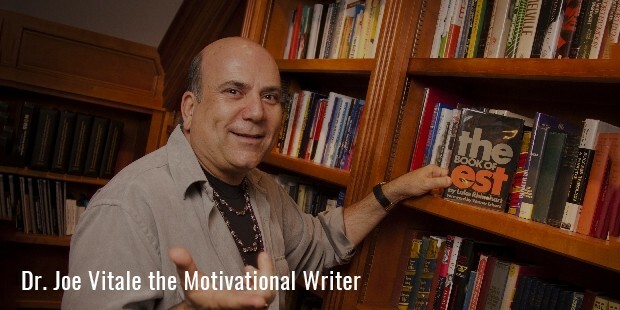 He is one of the most popular and powerful copywriters from the past 25 years. His first book was published in 1984. Vitale also took up audio programs. One of the famous nightingale audio programs is The Awakening Course and The Missing Secret. The motivational writer got lucky in various movies as well. Joe appeared in many of the TV shows like Donny Deutsch's, The Big Idea, Larry King Live, ABC, Fox News, etc. The New York Times and the Newsweek have also featured him in their newspaper and publications. Vitale has a charismatic pull in himself that attracts a number of his fans. He has always used the Law of Attraction and many people have followed his life path and have achieved success in their life. He has also shared his inner knowledge and various discoveries with other people. His work includes many complex issues, but he always presents those complex issues in a very simple way that appeal to most of his readers and fans. Some of his famous movies include The Search for a Balanced Life, The Compass and Discover the Gift. 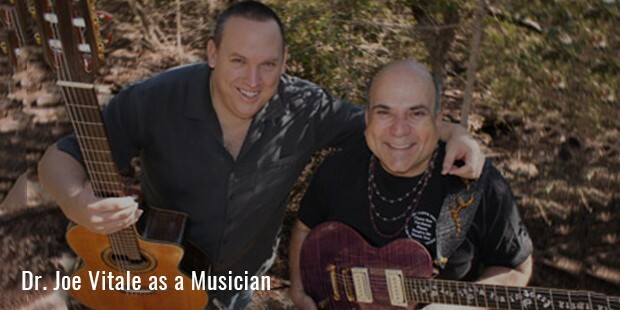 Joe is also known as a musician and he has around 4 albums to his name. He is also one of the featured guests on various TV shows all around the world. He is one of the famous personalities in the world and has flaunts followers who are almost uncountable. He has a fan following in millions due to his international popularity. Joe is a self-help singer and a songwriter. Many of his songs have been nominated for the Posi Award. Posi Award is also known as the Grammys of Positive Music. He is also famous for creating a number of programs that has helped a number of people in achieving their dreams. He believes in miracles that happen in life. He teaches the people the way of living a beautiful life without any worries. He is also one of the famous and reputed marketers in the world. He has achieved a great success in every field in his life. He is also a very fine speaker and always shared his work with the people in need.